Danaxia landforms are colourful rock formations at the Zhangye Danxia Landform Geological Park in Gansu Province, China. 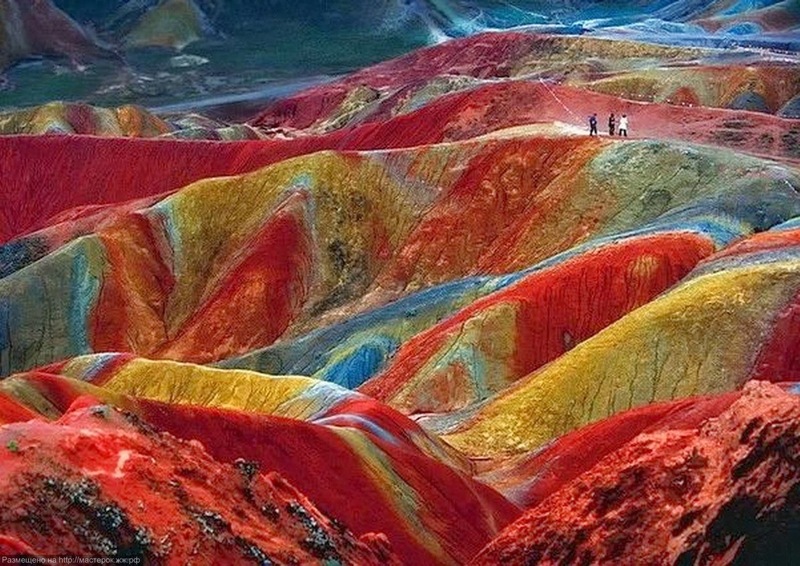 The landform is a unique type of petrographic geomorphology which is found only in China which consists of red-colored sandstones and conglomerates of largely Cretaceous age. 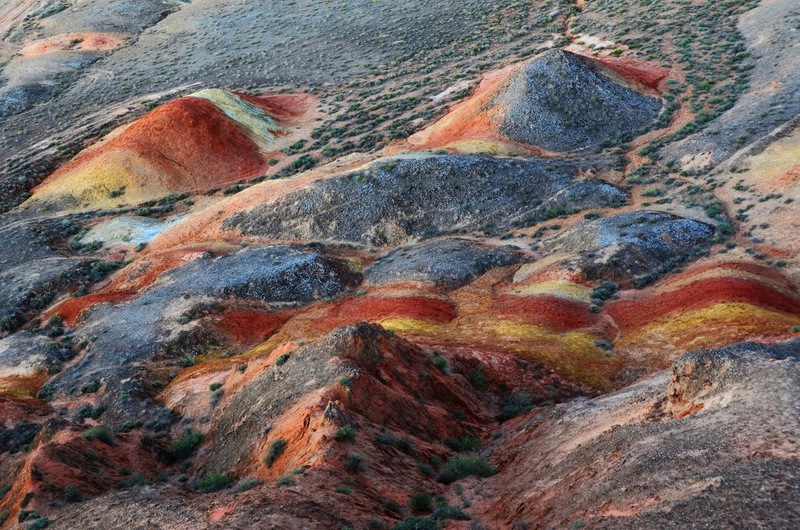 Research shows that about 100 million years ago, there used to be a huge inland basin here. Water carried silt from the surrounding mountains to the basin. As the result of global high temperatures the basin dried up and in these arid conditions the sediment oxidized and turned rust color. Then some 70 million years ago a 3,700-meter-thick red-colored layer formed on the basin, known as the chalk bed. 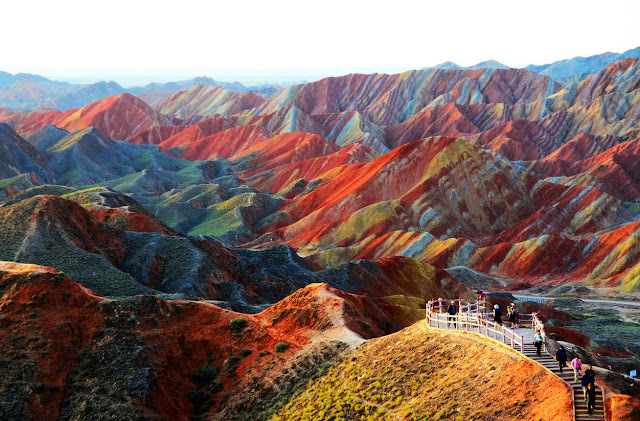 On the top, there was a 1,300-meter-thick solid layer, i.e., layer of Cretaceous system, from which the peaks of Danxia Mountain gradually took shape. Since 30 million years ago, orogenic movement has lifted the whole basin many times. Water flowing down through fissures cut through and eroded the sedimentary rock, the slope broke and receded, leaving behind the red fragmentary rocks we see now---Danxia landforms. 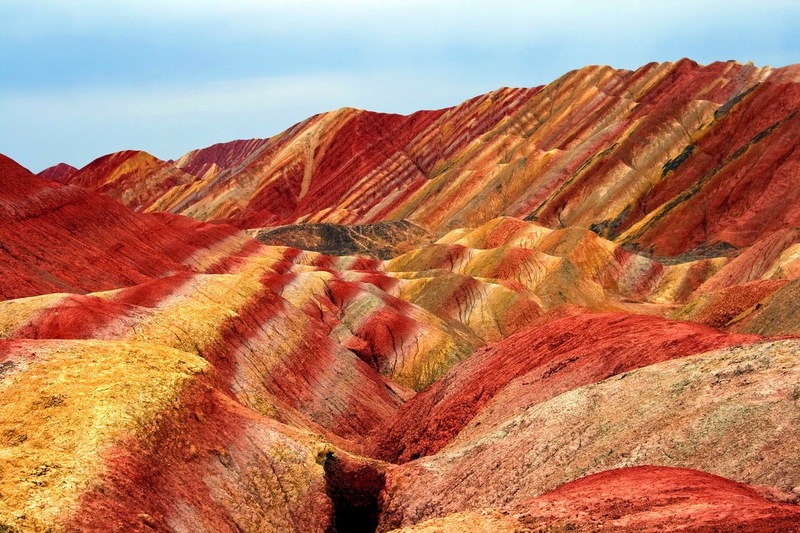 According to experts, orogenic movement is still going on in the Danxia Mountain area, with an average rise of 0.87 meter every 10,000 years over the last 500,000 years. The area is fast becoming a popular tourist attraction for the sleepy town of Zhangye. A number of boardwalks and roads have been built to encourage visitors to explore the amazing rock formations. The World Heritage Committee decided to include China Danxia Landform in the World Heritage List at its 34th meeting being held in Brasilia, capital of Brazil, on August 1, 2010.